Join Love and Music event this Valentine’s Day. Call: 0727162028 And 0725928673 For Tickets And More Information. Performances by TearDrops, Mis.Tari, Mamra, Eve And Other Amazing Artistes. Entry filed under: concerts. 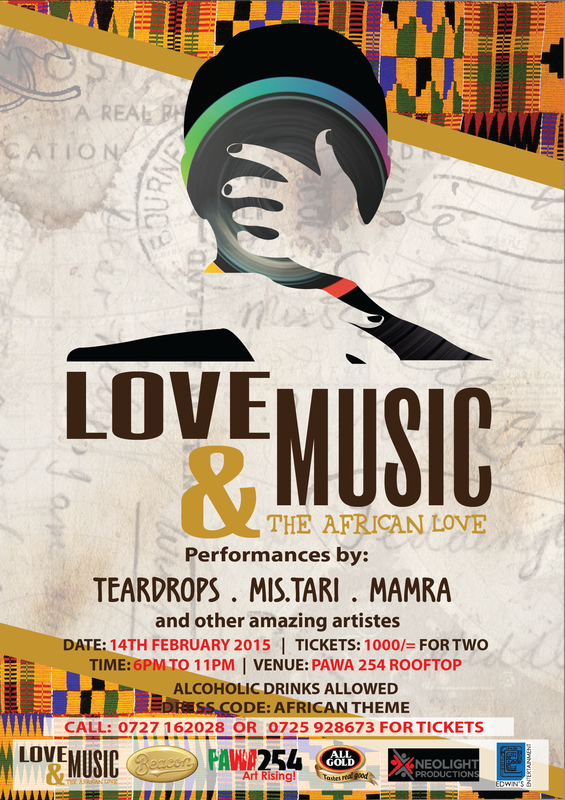 Tags: African Love, Eve, Love and Music, Mamra, Mis.Tari, nairobi, Pawa 254 Rooftop, Teardrops, Valentine Day.